Established in 2002, our company started as a provider of IT consulting and application development services for the Czech market, helping companies of various sizes and from different industries. After hiring a handicapped programmer (our current CTO, Jirka Maule), we came face to face with the challenges disabled individuals encounter and saw the opportunities, for both the handicapped community and our business, that we could create by refocusing our business priorities and mission. Driven by that new focus, we’ve since successfully delivered more than 200 IT projects for some of the most important companies in the Czech Republic, while gaining a number of awards for our efforts for the disabled. For us it’s not just about the bottom line, but about leading by example, trying our best to make an impact on society, while delivering real, tangible impact for our clients. The Good Sailors logo, a lighthouse, symbolizes that beacon of hope, security, and vigilance, that we strive to provide. We’re conscious of how important these values ​​are, but at the same time, how tenuous the waters are in which we travel. We don’t take anything for granted and work hard, in the face of adversity, delivering results we and our clients can be proud of. 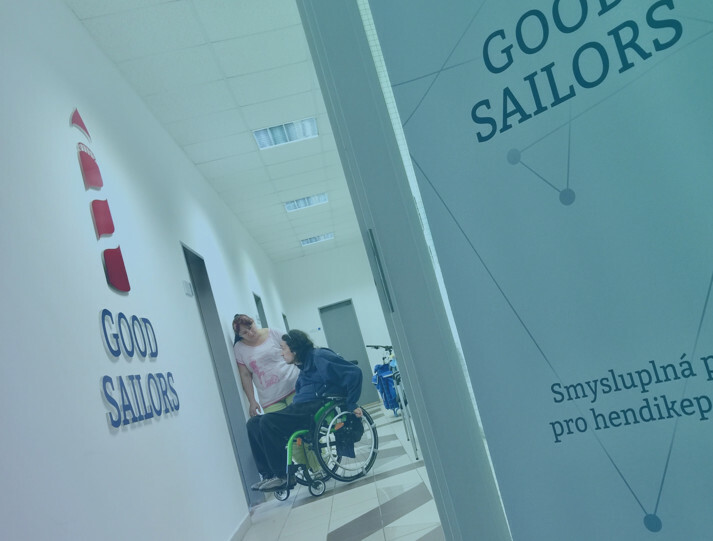 By partnering with Good Sailors, you’re not just ensuring top-notch quality and support for your business, but actively assisting the handicapped community and furthering our cause of being a proactive, positive conduit between that community and a society that is many times difficult for them to traverse. In addition, many times there are local regulations and benefits, related to employing disabled individuals, that a business must follow and can utilize, respectively. Collectively, we see that as a win-win!